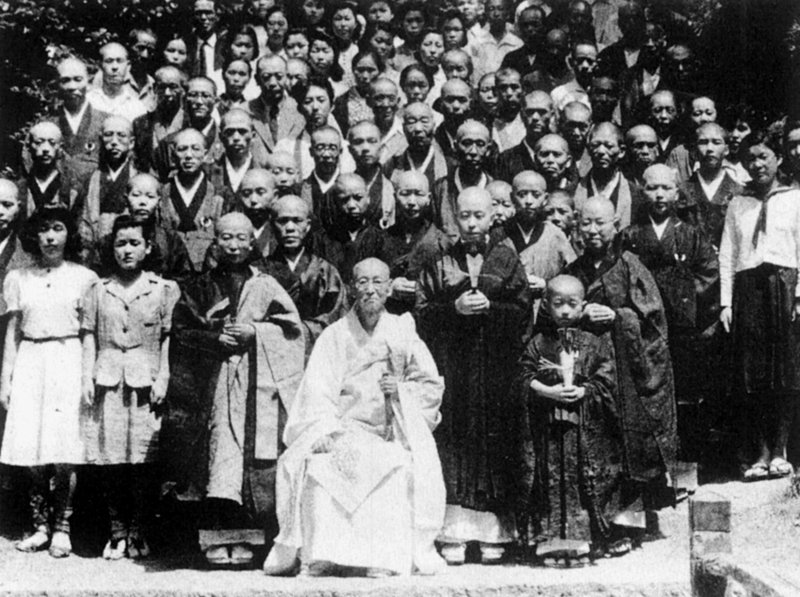 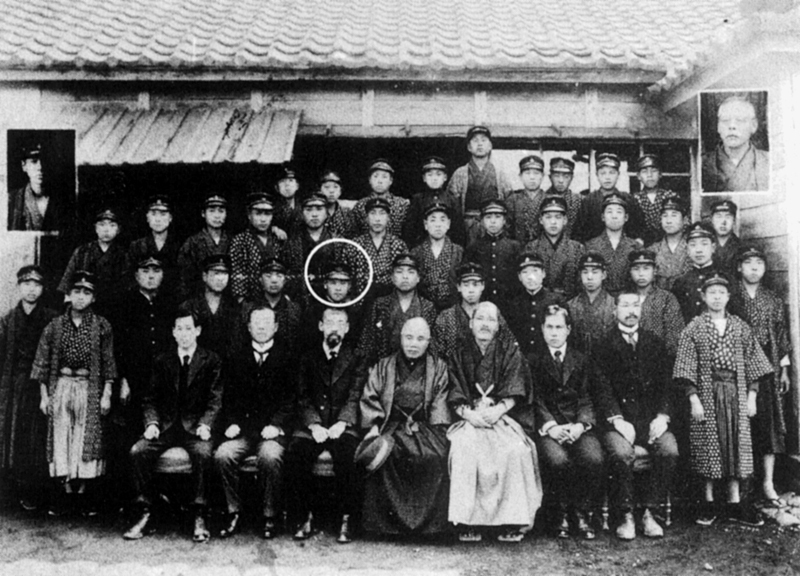 Earliest Photo of Shunryu Suzuki, age 14, at upper elementary school graduation in Mori, c. 1918. 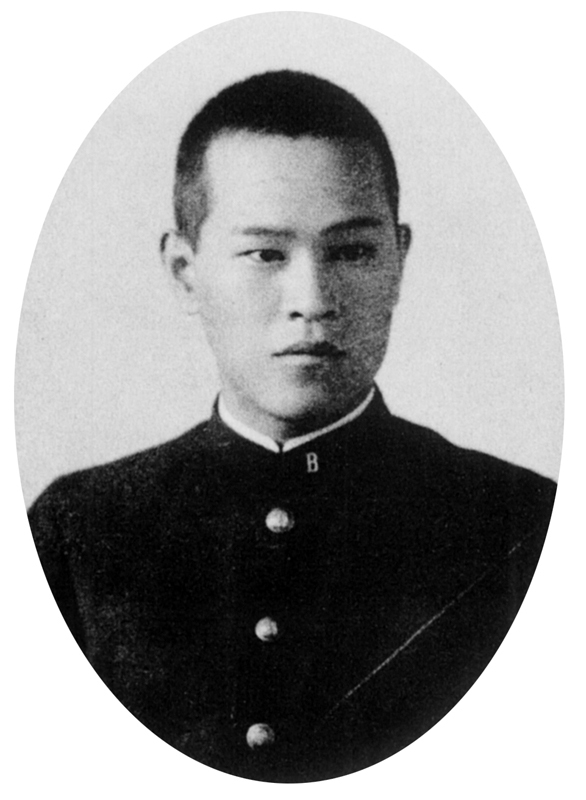 Shunryu, age 25, in the Komazawa University senior yearbook, March 1930. 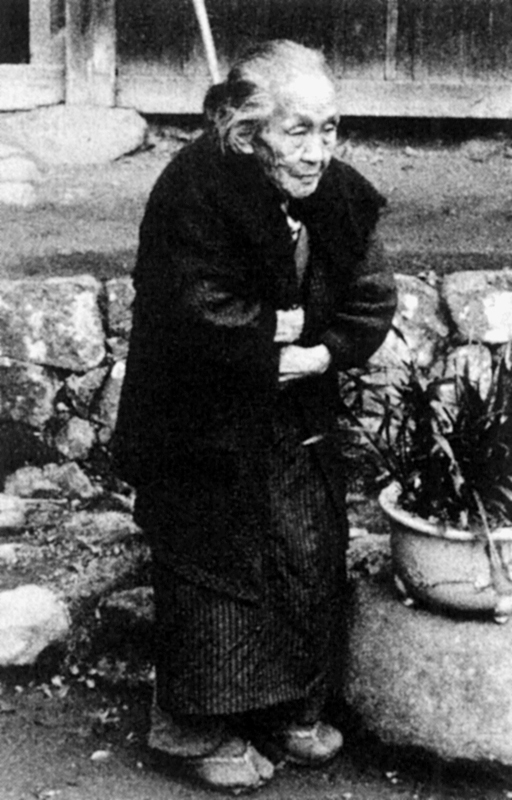 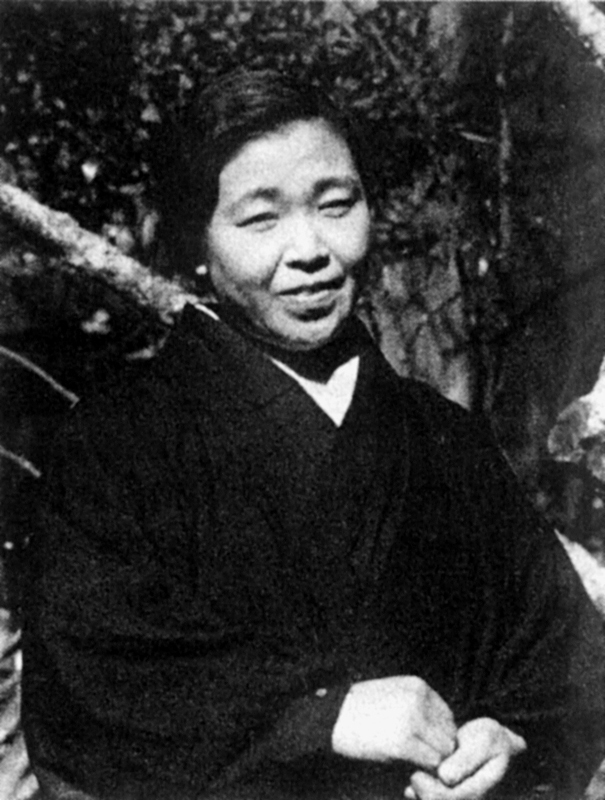 Miss Nona Ransom (Suzuki's English teacher at Komazawa University), in Tientsin, China, c. 1932.
at Zoun-in c. 1930. 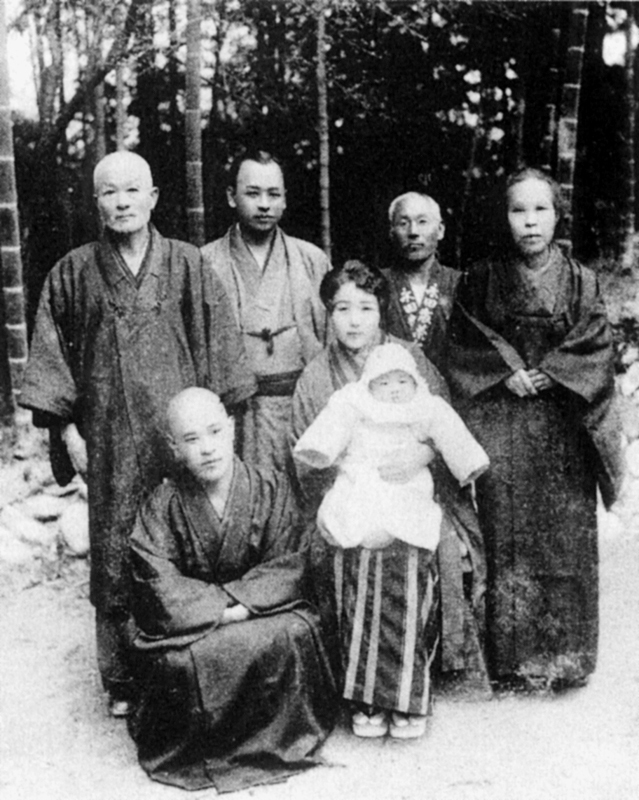 (L to R) Shunryu's father Butsumon Sogaku, Shunryu (squatting), Hino San (Tori's husband), Shunryu's sister Tori Hino and baby, temple caretaker, Shunryu's mother Yone. 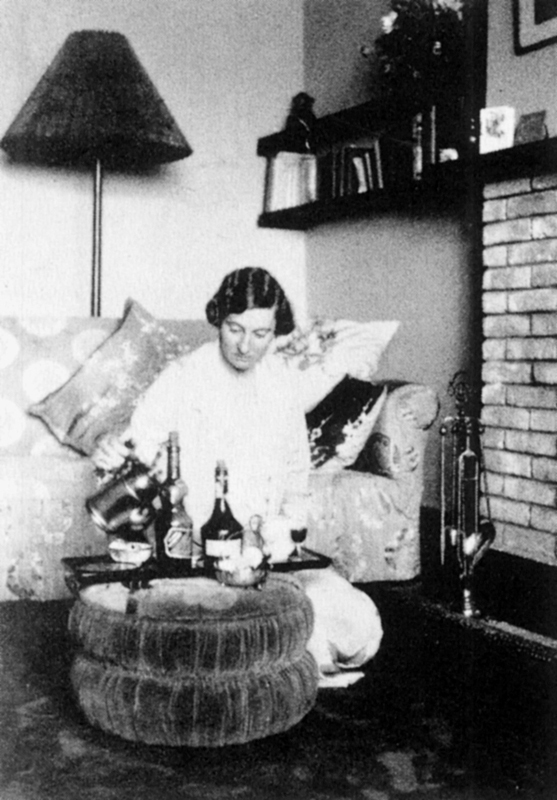 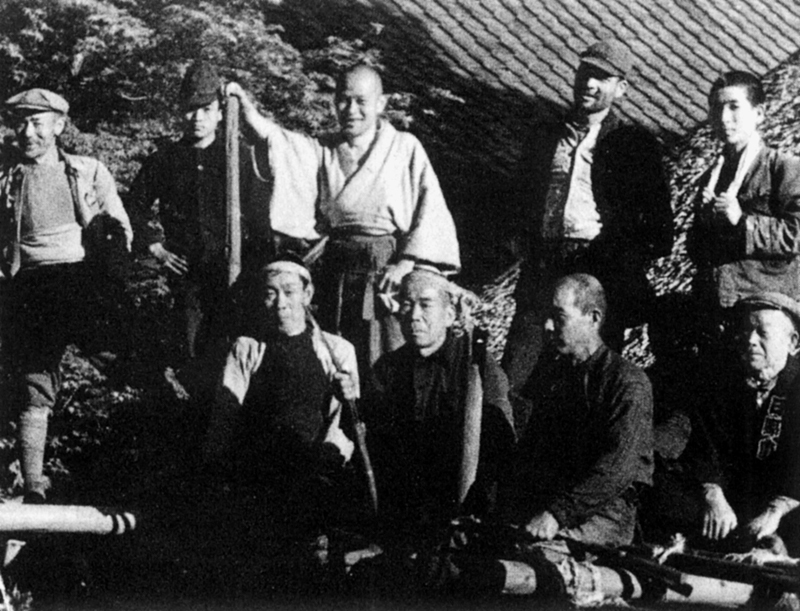 At Zoun-in c. 1935. 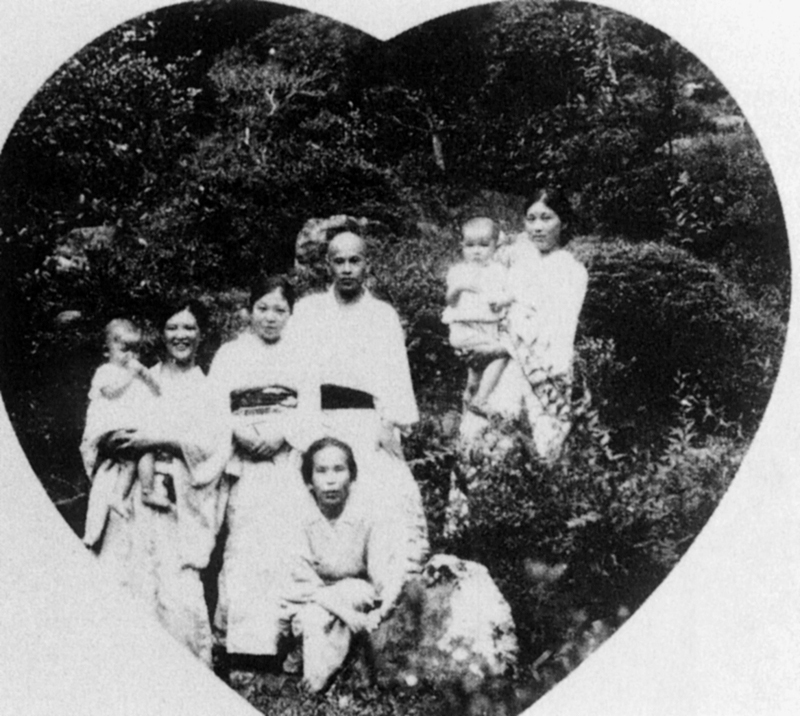 (L to R) Haruko Shima (Shunryu's half brother Yoshinami's wife) and baby, Shunryu's wife Chie, Shunryu's mother Yone (squatting), Shunryu's sister Aiko Uchiyama and baby. 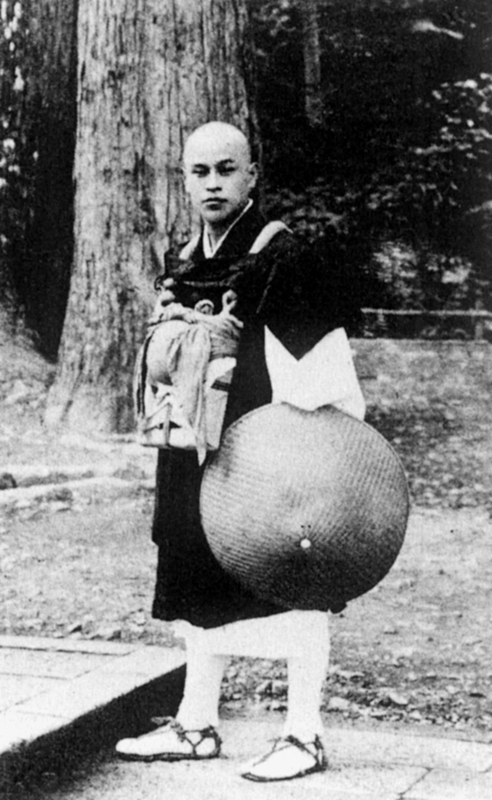 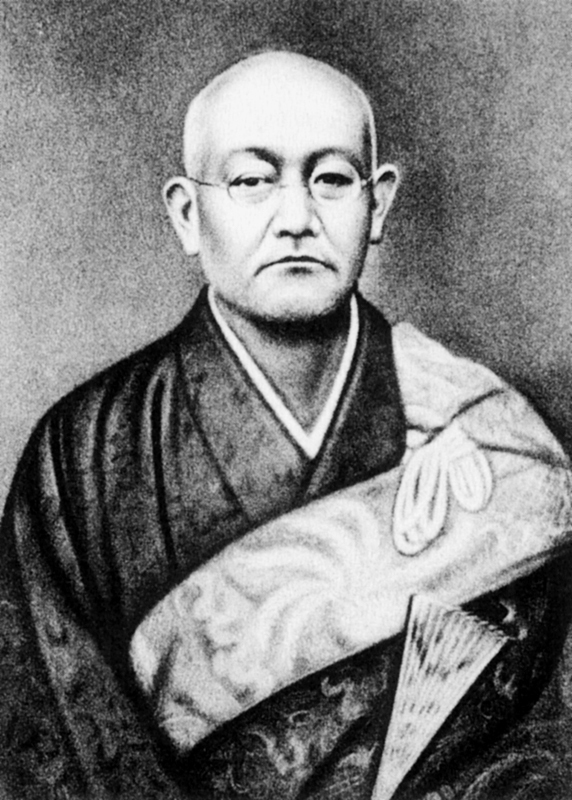 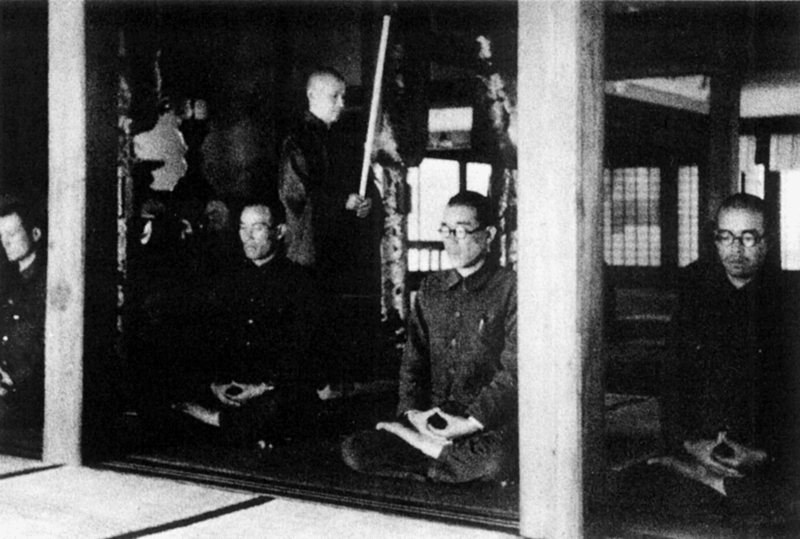 Shunryu carrying the stick (kyosaku) at Rinso-in during the Pacific War, while prep school students informally called High Grass Mountain Group (Takakusayamakai) sit zazen. 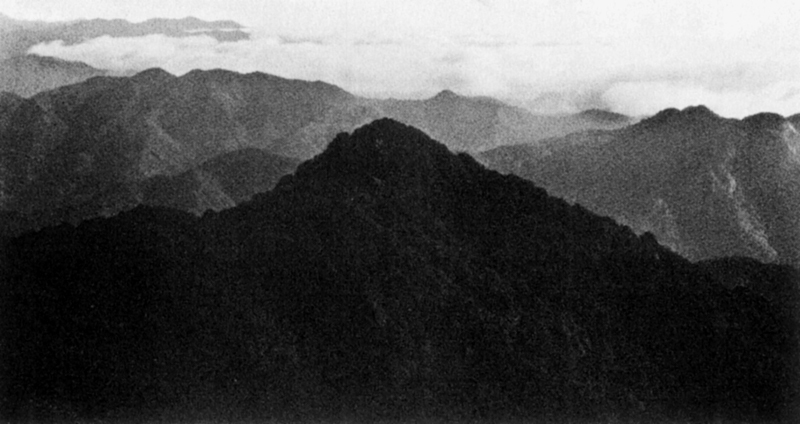 c. 1945. 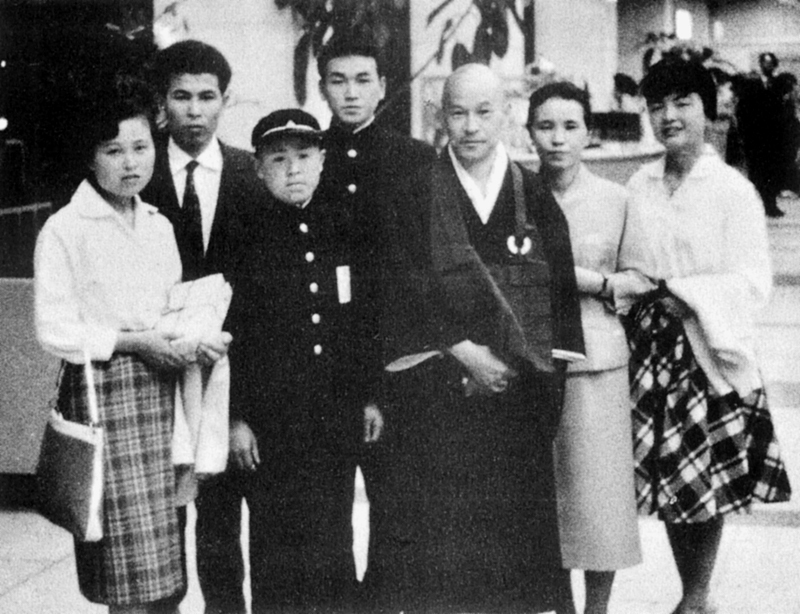 Shunryu's family at Haneda Airport in Tokyo, May 21, 1959, (L to R) His daughter, Yasuko Oishi and her husband, Iwao Oishi, Shunryu's sons Otohiro and Hoitsu, Shunryu, his wife Mitsu Suzuki, Mitsu's daughter Harumi Matsuno. 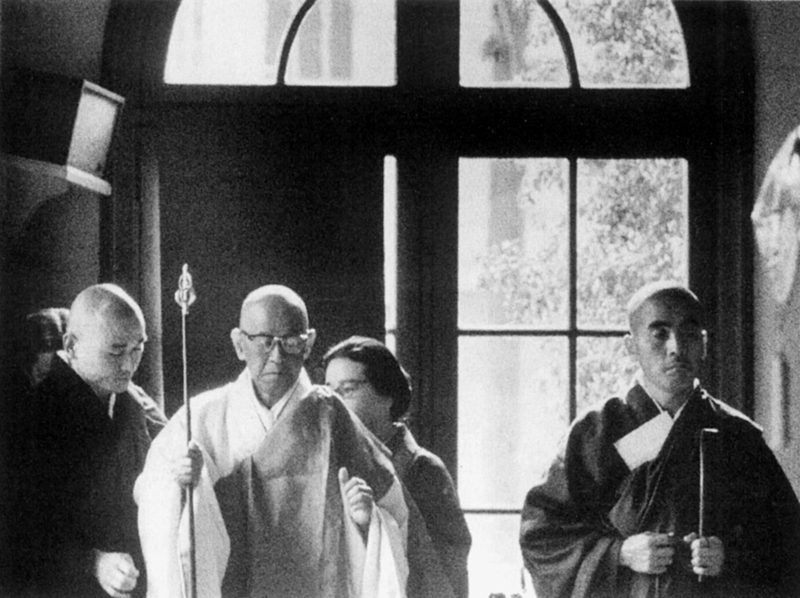 Shunryu at gate waving goodbye when he first leaves for America, May 1959. 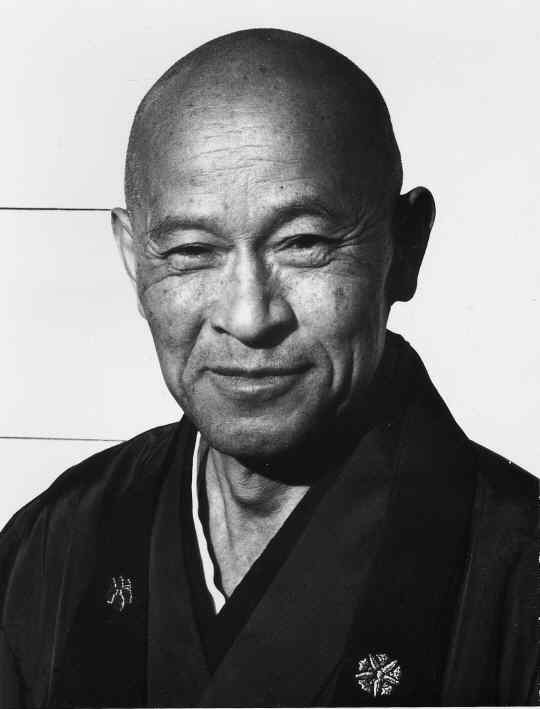 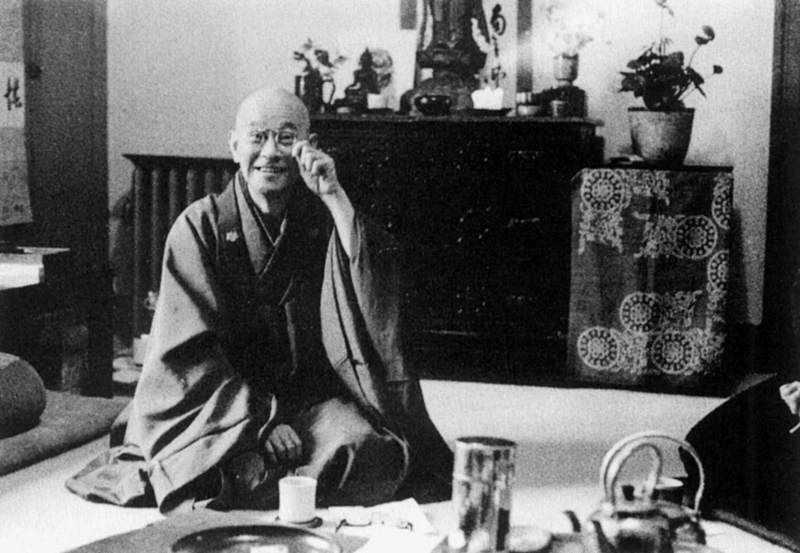 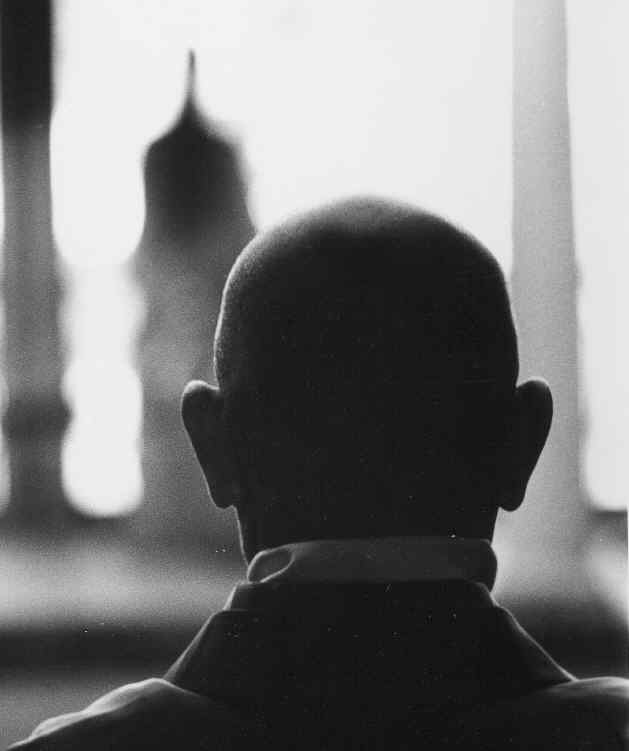 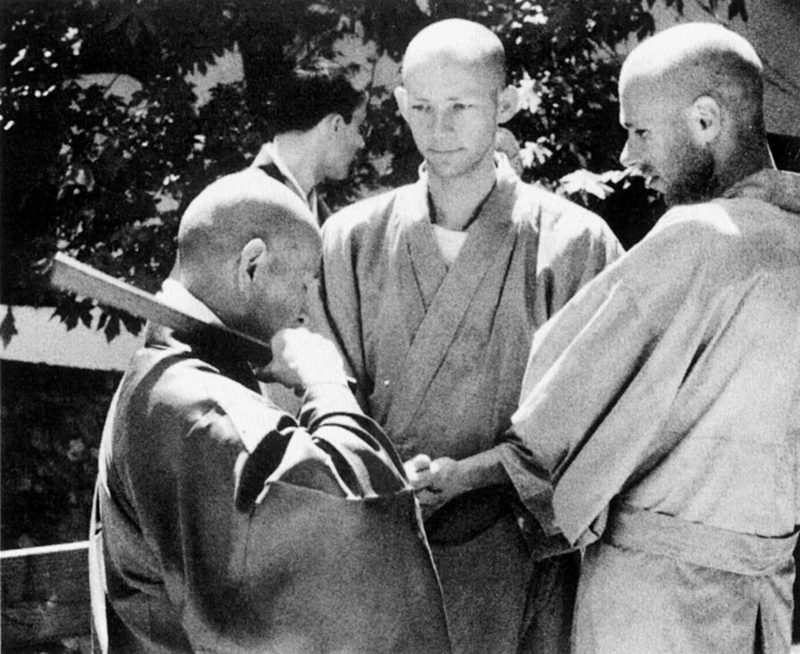 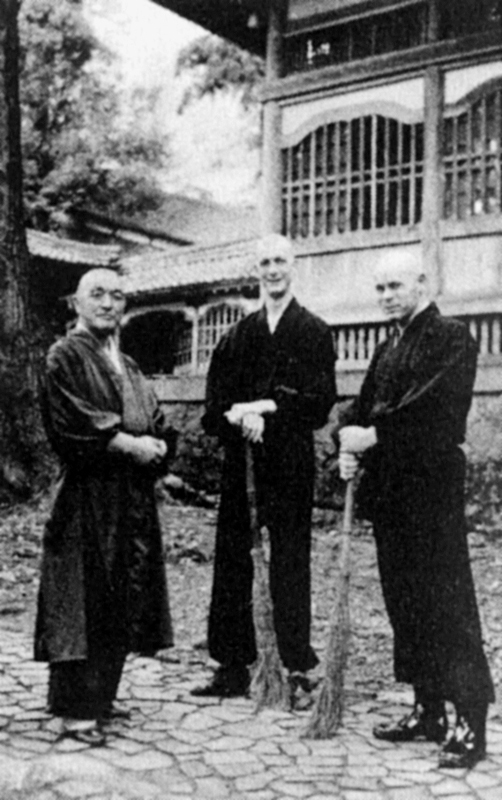 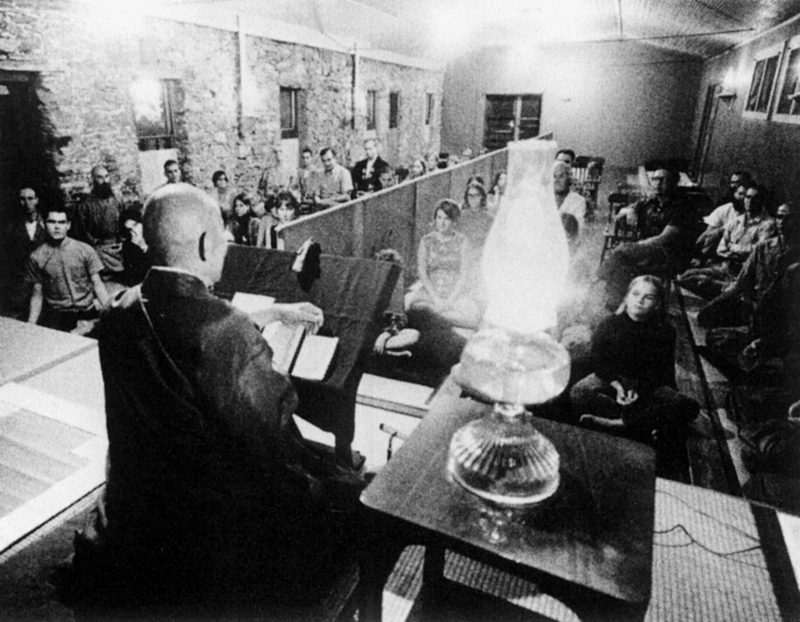 Shunryu Suzuki Carrying the stick in posed picture in the Sokoji zendo (normally women on the other side). 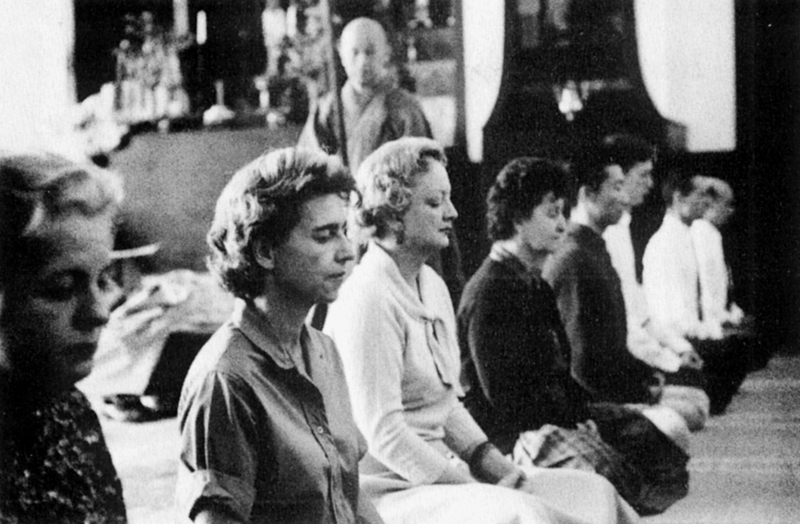 (L to R) Jean Ross, Betty Warren, Connie Luick, Della Goertz, Bill Kwong, Grahame Petchey, Paul Anderson, Bob Hense (c. 1961). 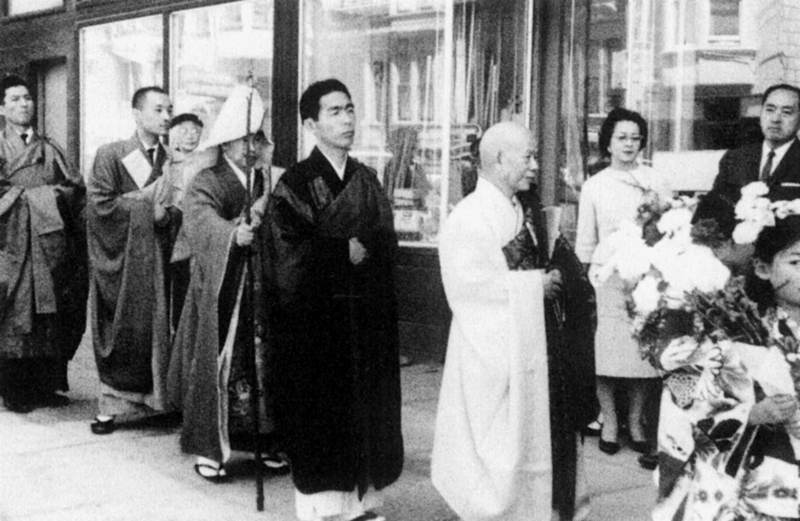 Procession Through San Francisco Japantown during Shunryu Suzuki's Mountain Seat Ceremony, officially becoming the abbot of Sokoji, May 20, 1962. 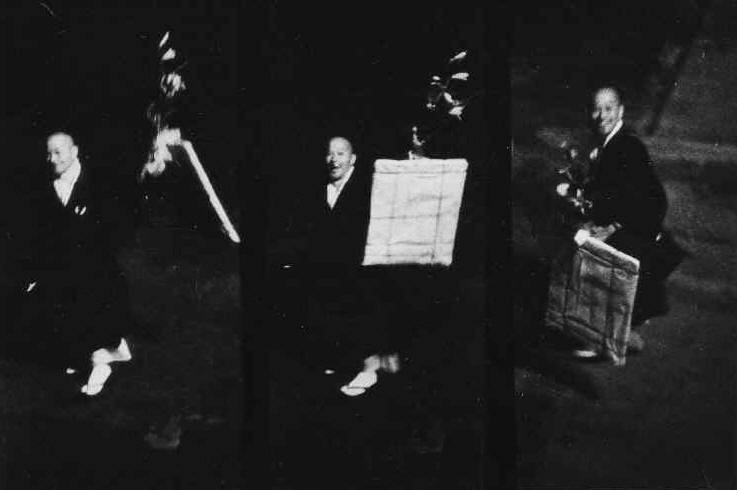 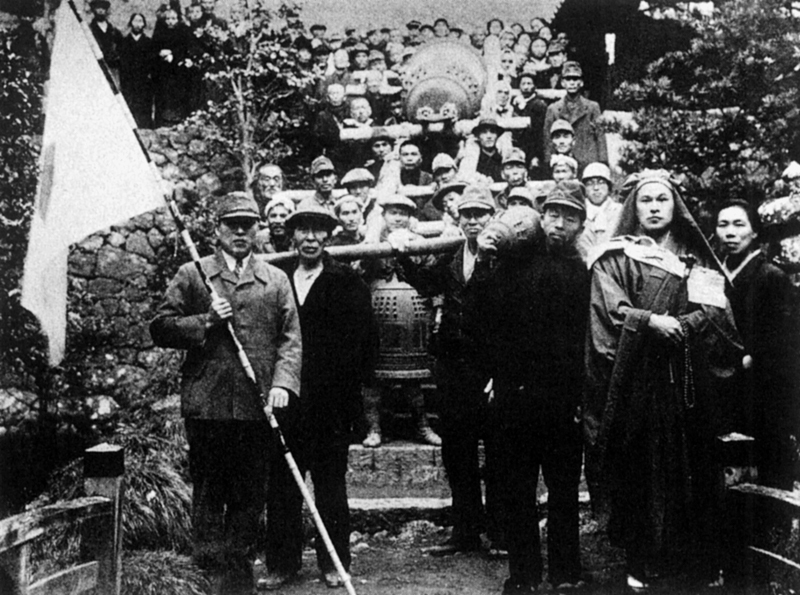 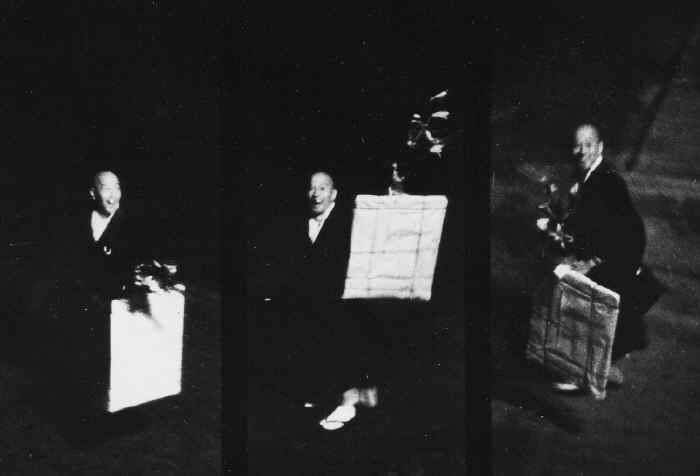 (L to R) Unknown, Taizan Maezumi, Shunryu Suzuki, Wako Kato, Rerin Yamada, a couple of observers, and a girl in kimono carrying flowers ahead of the procession. 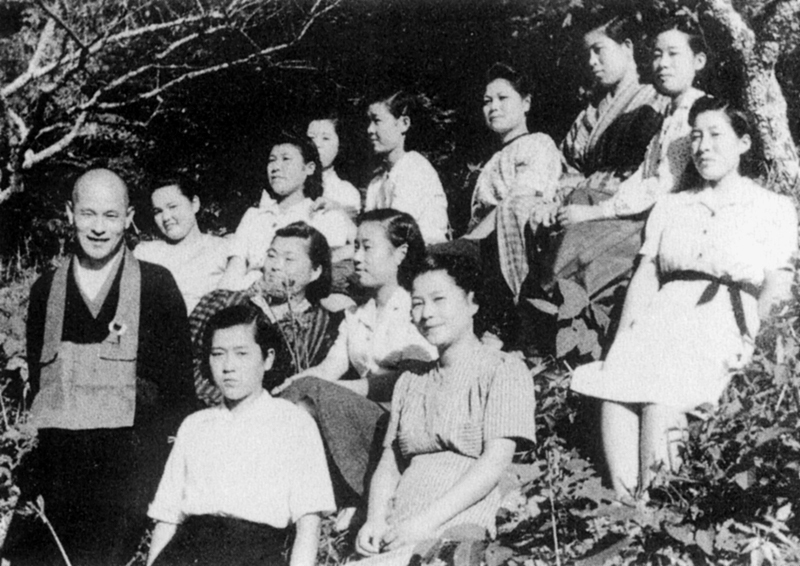 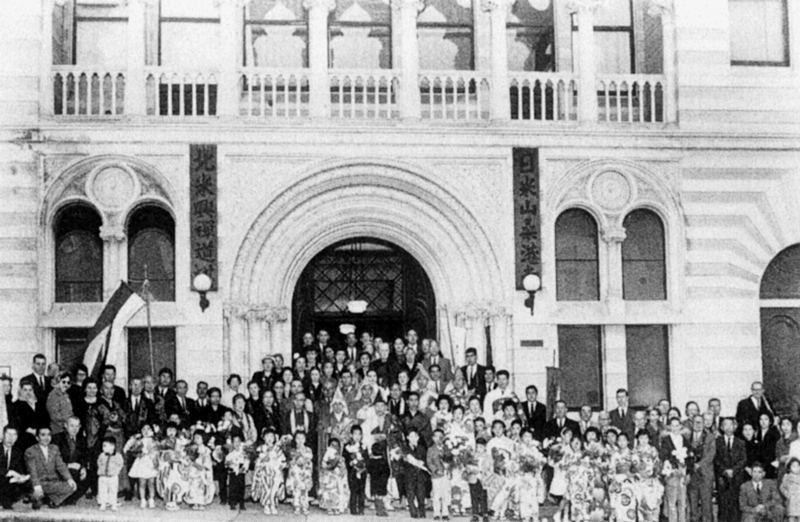 After Shunryu Suzuki Mountain Seat Ceremony, May 20, 1962, members of Japanese-American congregation, Zen Center, and guests in front of Sokoji. 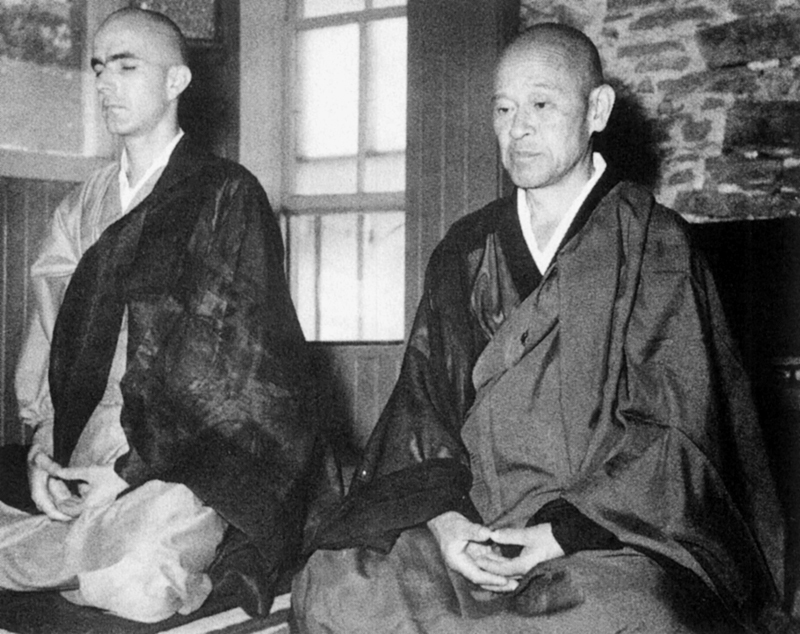 Shunryu and Mitsu Suzuki at the San Francisco Airport on their way to Japan, April 10, 1963. 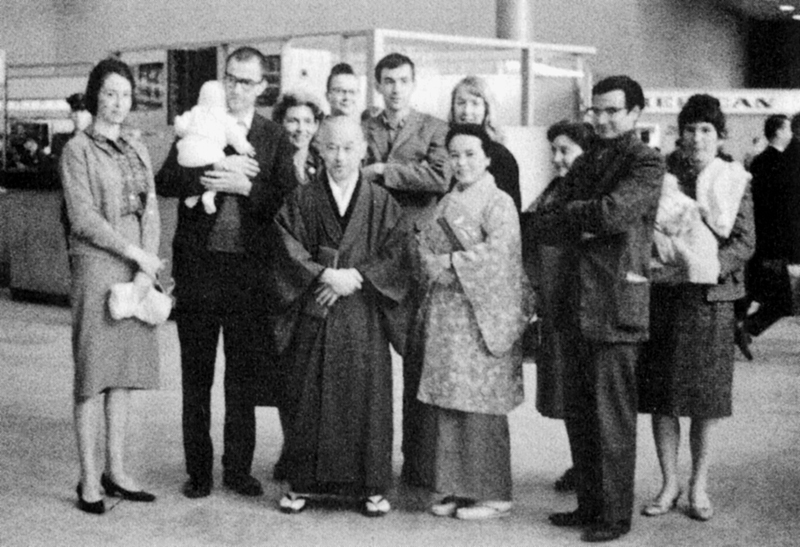 Others (L to R) Virginia and Richard Baker (holding Sally), Betty Warren, Connie Luick, Mike and Trudy Dixon, Della Goertz, Giles Guay, Pauline Petchey (holding David). 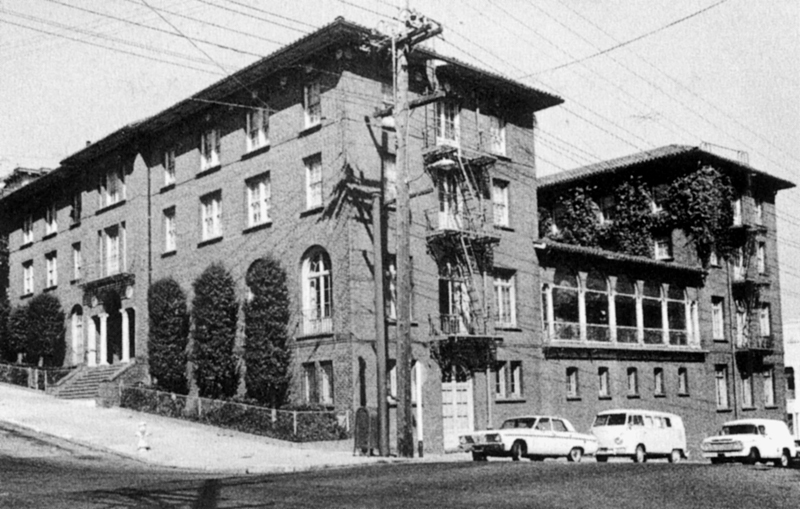 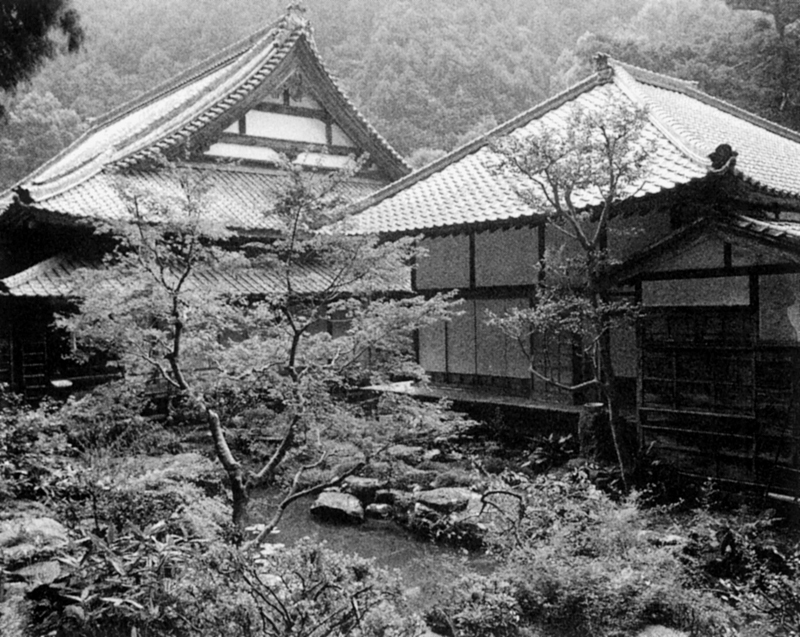 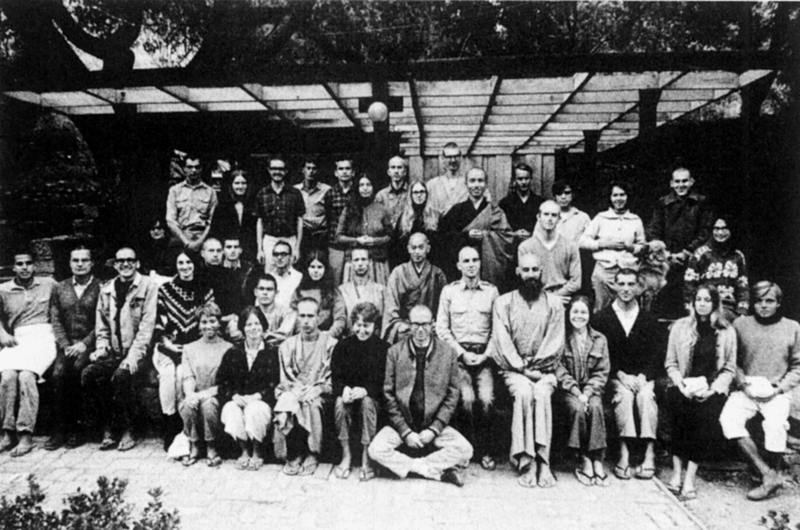 Tassajara, Zen Center, [not] first practice period work-time photo.Fall 1967. 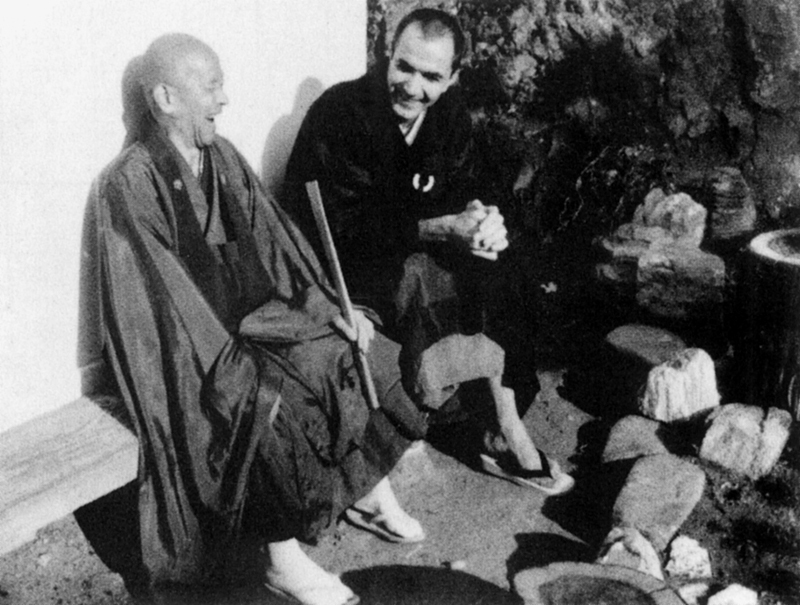 At Richard Baker's Mountain Seat Ceremony, November 21, 1971, thirteen days before Suzuki's death. 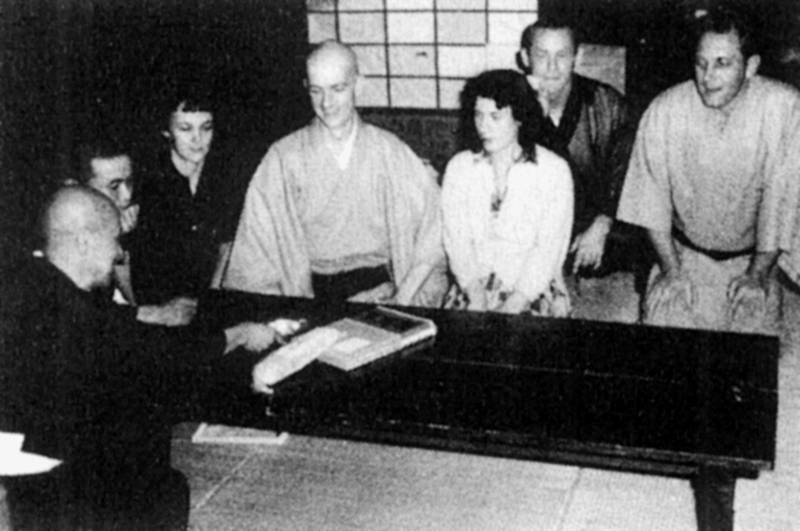 (L to R) Suzuki's eldest son and dharma heir, Hoitsu, Shunryu Suzuki, his wife Mitsu, Dainin Katagiri. 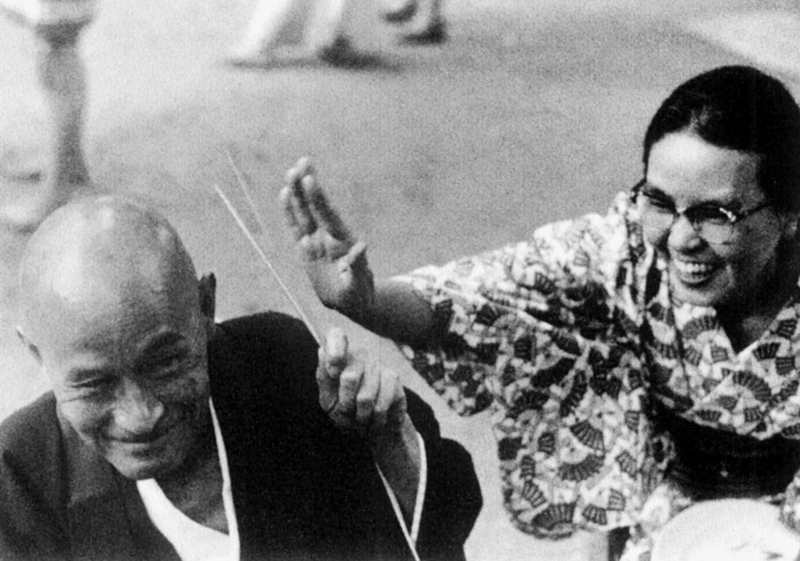 - Photograph by Robert Boni. 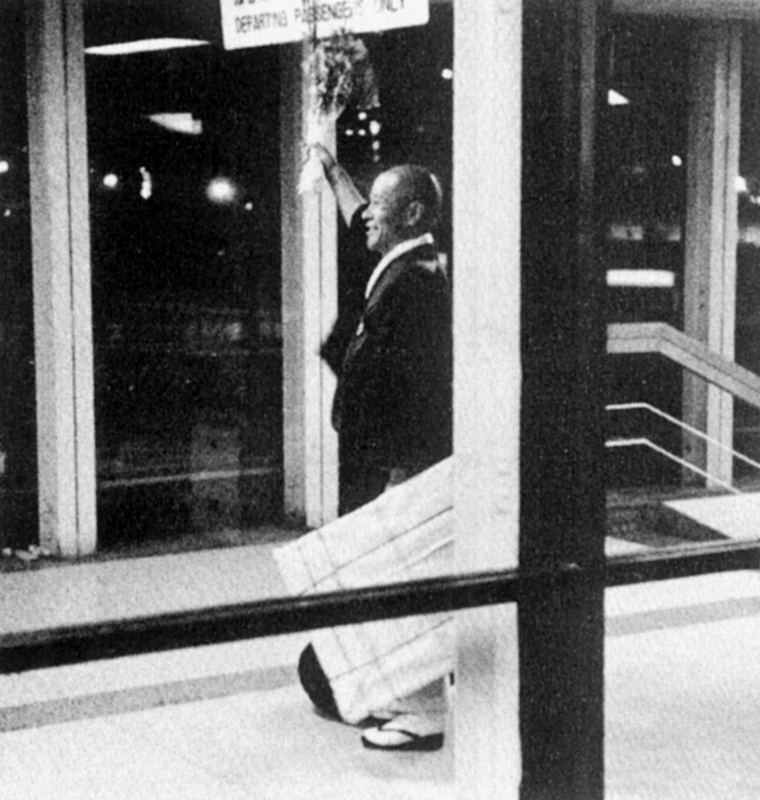 Lower unused half of the set of photos of Suzuki walking to the plane at Hanada Airport in Tokyo on his way to America for the first time on May 18, 1959. 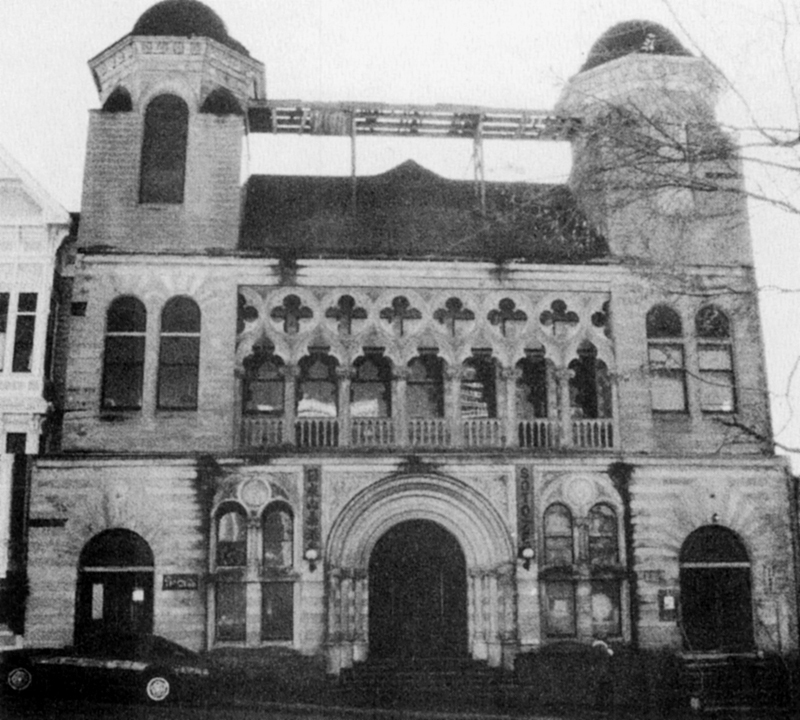 Upper half above used on title page of Crooked Cucumber.